Joe Kelly’s most recent book, America’s Longest Siege: Slavery, Charleston, and the Slow March Towards Civil War, appeared in 2013. It is the story of the worst idea idea in American history: the positive good theory of slavery. He has also written Our Joyce: From Outcast to Icon, the tumultuous progress of James Joyce in American culture. Kelly is the editor of W. W. Norton’s series of anthologies, The Seagull Readers, now in their third edition. He is currently writing a narrative history of the settlement at Jamestown, focusing on the untold stories of mutineers, shipwrecks, and marooned communities. 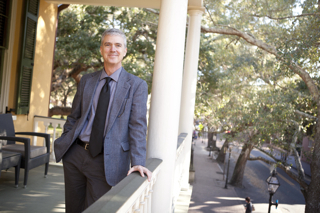 He directs the Irish and Irish American Studies Program at the College of Charleston, where he is a professor in the English Department. Visit his website here.